Images have become a very important part of today’s digital world. We see millions of images around us in everyday life which is being used in many ways. An image looks good when a perfect look if given to the image. Background of the image is the most important part to make an image look better. When you want to make your object looks attractive, you also have to be careful about the background. A cheap looking background can ruin your entire image. A photographer or a company may face a problem with that background. But you can rid of the unwanted background of your object very easily nowadays by going for Background Removal Services. It helps you to remove the background of an image and change it according to your requirement. It can also be called image background removal services. You can remove the background and keep the object constant by going for background removal service. It is also possible to get off from your current background and put an entirely new background and various colors. Doing that, you will get your desired background and the main object will look good and attractive. Photo Background Removal Service is also known as Photo Clipping Path Service. There are various kinds of Background removal services which work in different ways and in different kinds of images. 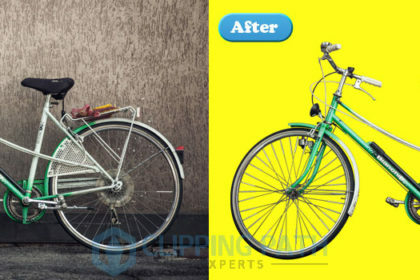 Background removal services can be used for a simple image like removing the background a pen to the super complex image like removing the background of a bicycle. Image background removal services are also applicable to garment products. Applying this service on a garment product, both the sides of the product will be visible. Background removal service is applied in many kinds of products such as mobile phones, stationery, home appliances, jewelry products, automobile products, electronic products, garment products and many other types of products are applicable for background removal service. Each kind of product goes with each suitable category of background removal services. Whichever background removal service you choose, the application you should use is Adobe Photoshop. 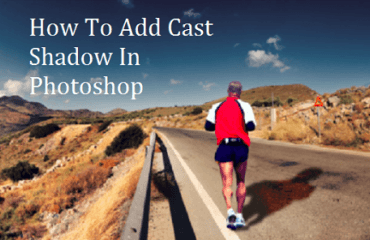 Adobe Photoshop has amazing tools and techniques by which a background is removed from an image perfectly. Basic background removal service is the most common background removal services. Usually, the products which have very straight lines or rectangular lines are being clipped. It takes a very less time. Sometimes, it is also possible to make this work done within a minute is the object is small. In basic background removal service, very less number of anchor points is used to remove a background. Suppose you want to remove the background of a square box. You just have to draw the line using 4 anchor points and close that with those 4 anchor points. Within a fraction of a second, the background will be removed. Simple background removal service is not very dissimilar from the basic background removal service. This photo background removal service is 80% similar to the basic background removal service. The shape of the simple objects could be a bit curvy in shape. It may take more time than removing the background of a basic object. Although the simple object might be a bit curvy, it is not very difficult to remove the background of a simple shaped image. A simple object might also consist of a hole which is also called loop. For an example; if you want to remove the background of a bangle, you have to put multiple anchor points to outside the bangle and you also have to fill the hole of the bangle by some more anchor points. Another major category of the 8 categories of background removal services is Medium background removal service. It is called medium background removal service because the objects of which background is removed are medium in shape. These kinds of objects usually have few curves and sometimes few loops too. Medium background removal service is highly taken and is the most popular background removal services out of all image background removal services. Removing the background of a medium shaped image might take a longer time than the simple one due to the more curvy shape and the number of loops. Suppose, you want to remove the background of a bracelet which has some curves and some holes. You have to draw the whole curvy outline and fill all the loops by using the pen tool in Photoshop. Complex background removal service is one of the hardest and intensive clipping path services. To remove the background of an object which contains different types of shapes and loops or holes, complex background removal service is used. You might have to draw more than one path to remove the background of a complex object. A designer has to be focused when he/she is working on removing the background of a complex object. The size of the object is usually larger, so the time to remove the background is also taken longer to complete the task. For example, you want to remove the background of a complex object which is a long neck piece having many curves and holes. You have to fill all the holes and draw the outline. The number of the anchor points will also be many in number. To remove the background of an object having too many vertical and horizontal curves and uncountable holes along with the transparency, super complex background removal service is used. This photo background removal service is the hardest of all the background removal services. This kind of image is usually bigger in size and many holes which are not countable all the time. The holes also not remain in the same shape. Each hole could be of each different shape and size. What happens in such objects is, people get puzzled while removing the background of those kinds of objects. Super complex background removal services are very time to consume. Sometimes it might take half of your day. Objects like bicycle, trees, group of chains etc. are the examples of super complex objects. The images which are having hard and delicate edges, background removal service helps to remove the background of those kinds of objects. Image masking is needed to do to remove the background of the object having those delicate edges. Usually, the objects having hair, fur, feather, fabrics etc. need to go through masking first and then for removing the background. Image masking is also a part of background removal services. Suppose you want to remove the background of a doll image which is having a lot of fur, you have to go through masking those areas which are having furs. After masking the furry areas, then take another layer and draw path there. Combine both masked and path areas and the background will be removed. Ghost mannequin is another example of background removal. Ghost mannequin service means separating the body of a mannequin or the model of the garment product. Doing that, you will be able to see both inner and outer side of the garment product which helps the viewers to understand the garment products. When you separate the product from the mannequin, you need to draw clipping mask to remove the mannequin and the entire background. You can also join the neck of the product by ghost mannequin. It is also called Neck Joint Service. Every kind of garment products like shirts, pants, sweaters, skirts, gowns etc. are given for removing the background with ghost mannequin service. After shooting, when you found that there are some objects in the image that makes your image look unattractive, it can be fixed by unwanted object removal service. This work is pretty unusual. But it is taking by many clients (Specially Photographers). There are few tricks by which unwanted objects can be removed from an image. By using the pen tool and magic wand tool, you can remove the objects that you do not want to see in the image. For example, there is an image of a building. Near the building, there might be some unwanted objects like some people, cars, garbage etc. These all can be removed by this service. Out of all the image editing services, background removal service is the most wanted image editing services. It is taken hugely by the clients all over the world. Clients from many industries of many popular companies are in need of different background removal services to make their object images look good and attractive. Online shopping industry, garment industry, modeling agencies, automobile industry, home appliance company, jewelry store, sports industry, mobile phone industry, printing company, hardware store, car company, real estate industry etc. need background removal service to give a good and appropriate background to their products. There are millions of these industries in the world who are outsourcing image editing services providers or companies to remove the background of the images. Photo Background Removal Services is largely taken by online apparels shopping websites. Since these websites run through images only, they are in need of this service the most. 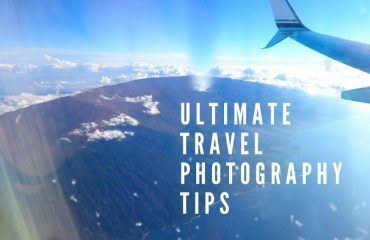 While photography, the company might not get the perfect background or even after a photo shoot when the company thinks that they have used a good background, later they might seem inappropriate. For them, background removal service is the only way to get rid of that background and adding a new and the background which goes with the object. If the background of the product does not look good, the entire photo would be a waste. Hence, the product image will not grab the attention of buyers and your product will remain unsold. So, they need image background removal service the most. The images can be of many types, it can be clothes, foot wear, food items, accessories etc. There are various online electronic stores who are selling their electronic products online by using photographs of the electronic products. Online electronic stores usually spend a lot of money on marketing their products. The products should be clearly visible to the customers in the photo. But sometimes the photo fails to live up to expectation just because of choosing a wrong background of the product. So, online electronic stores go for background removal services to remove and change the background to showcase their products in a better way to the customers. Taking this service, online electronic stores can attract the customers to purchase their items. Since many companies are taking this background removal service, Online Automobile Store is not behind to go for this service. Automobile stores do not spend much money on the background while clicking photos. As it is a hardware company, most of the companies click photos of the products using random background. Post photo shoot, they search for image editing companies around the world and takes background removal services from the best company. Automobile products like the parts of cars, bikes and other vehicles are used as photos to remove the background of. The company gets lots of benefits by going for this service. In the world of e-commerce, online sport accessories stores are high in demand. Since in a recent period of time, people buy sports accessories from online shopping websites. While photo shoot of sports products, the background may not found that attractive. 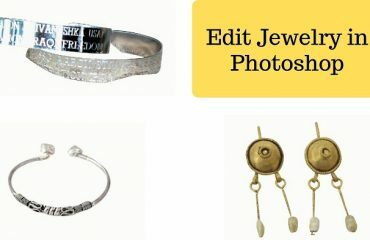 So, the online sport accessories stores take background removal service from different image editing service providers. The sports products are sold in a high margin by a huge number of the population of the world. Most of them are young and middle aged. So, they go for online shopping for sports accessories. To make them buy the products, background removal service is needed. Publishing houses mainly work with photos after writing. Newspapers, Magazines, Billboards, Brochures, Leaflets, Posters, Banners these all are the way of marketing. When you publish a photo in any of the publishing press, you need to be careful about the photo. Only the photo can attract the buyers on those mediums. When a company chooses publishing house to market their products, publishing house takes background service to remove the background and to replace or change the color of the background, so that the photo looks good and a proper photo goes into people’s hands. Portrait studio is a place where people to go click their portrait photographs. In some of the studios, there might be the lacking of a good background. So when the photographers click the photo of a person, that particular person would expect a perfect photo from the photographer. When the client will see their photo with a poor background, he/she would be disappointed. So, the portrait photography studios take this photo background removal service to serve the client by serving them with a good and attractive portrait photo with an attractive background. Taking this service, the photographer of the studio tries to satisfy the client and can take a lot of profit. When it comes to showing a beautiful home to the clients with a wonderful background, real estate companies need to take background removal service. Real estate companies get the clients initially by showing the pictures of their works. Once the clients get attracted towards the picture, then the real estate companies can get the contract. But if the real estate companies show photos with a bad looking background to the clients, the clients will not be impressed and might not give the contract to the real estate companies. So, the real estate companies go for the image background removal service, so that they can use an attractive background to their images and impress the clients. Why the customers are happy by taking background removal service? Since we have discussed what kind of companies take background removal service and we found a lot of companies who are taking this service and getting beneficial. The companies who are taking this service from us are getting many benefits. First of all, they can get a good image by removing and adding background and impress the customers. The pictures seeing by the customers will attract them and the companies will be able to get their product sold just by showcasing good photographs processed by our designers. The photos also build a brand name of the company who uses this service. So, the customers are happy by taking background removal services from us. There are some other specialties which prove why the clients are satisfied with our work which is given below. Affordable: We are offering our Background Removal Services in a lower price. Swift: Our experts take very less time to remove the background of images. Professional: Our designers are professional and highly efficient. High performance: We promise high quality works to our clients since our designers deliver 100% quality work. Diverse Services: Handmade clipping path, masking and other image editing services are provided by us. Flexibility: We share a friendly relationship with our clients which make the working process flexible. All in all, Background Removal Service proved to be a very famous and great image editing service which holds a strong position in the world of image manipulation. Since we are offering our services with good facilities to the clients, we are happy to hold our clients for a long time. We feel happy when we provide perfect background removal services to our clients and our clients are happy with our performance. I would like to congratulate for your comment. I hope you people will get best guideline about Background removal service.